Score one for Del Sol and for YOU! 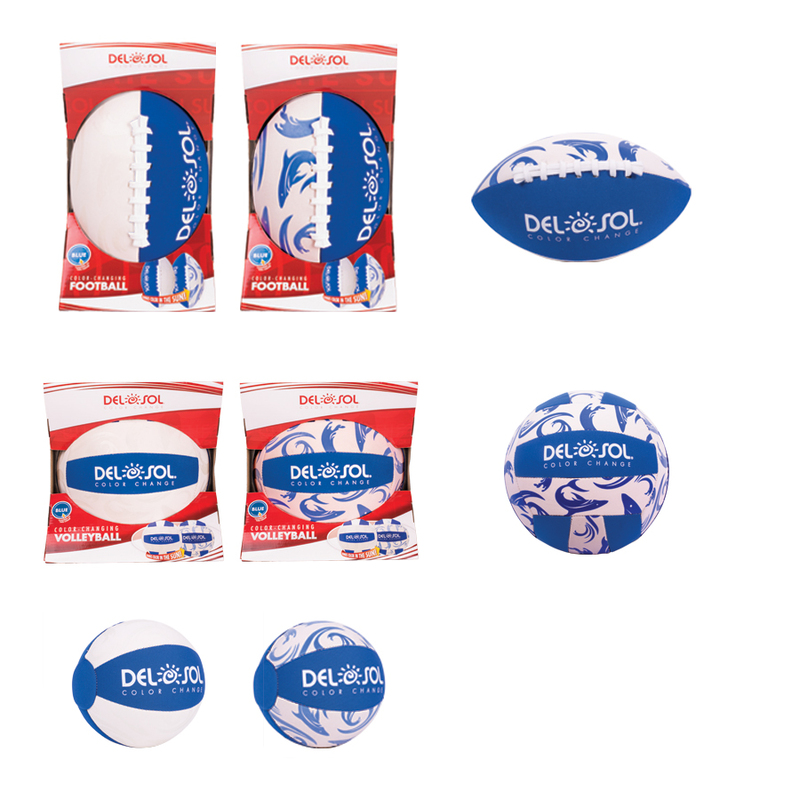 The newest colors and latest improvements to the company’s Sol Sports Ball Collection were introduced this week to Del Sol stores worldwide! And, they’re busting to get outside to be kicked, passed and spiked where the sun shines. 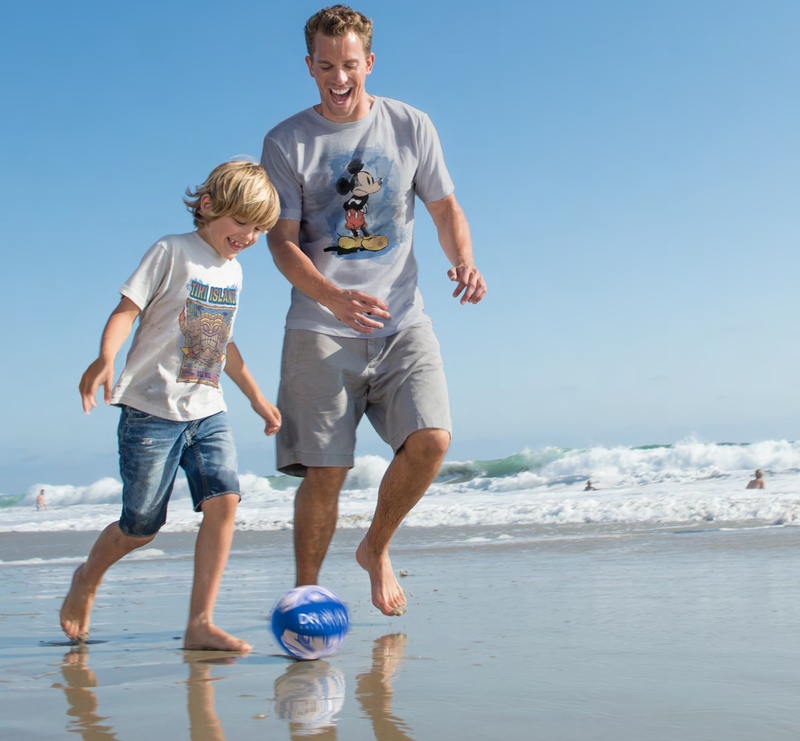 Whether your next adventure is to the beach, pool, park or playground, Del Sol’s color-changing sports balls are the perfect thing to bring for hours of fun under the sun. The designs on each sports ball are invisible inside without sunlight but, once you let it loose outside, you’ll see a spike of colorful blue shapes appear right before your eyes thanks to the sun’s UV rays. All the Sol Sports Balls (Football, Volleyball, Beach Ball, Mini Soccer Ball) are waterproof, soft to the touch and have a strong neoprene cover. Ultimately, they’re meant to be played with by young and old alike! They’re also built to last and endure lots of play time in the sand, on the cement or out in the field. • Ships fully assembled and inflated. We invite you to have a ball and be the bringer of energy and excitement to your next outdoor outing. The intensely vibrant color-changing ball prints are guaranteed to amaze everyone who sees them. These sports balls pair well with any of Del Sol’s color-changing shirts, which work well as a bundled gift or as an essential gift set for the beach. WOW Guarantee: All Del Sol products are guaranteed to change colors in the sun for the life of the product, through normal use. Which sports ball do you see yourself using most? Where would you most like to take a color-changing sports ball? Let us know in the comments. The soccer ball is my favorite, I’d love to take it to my annual church picnic/ warm weather welcome celebration!